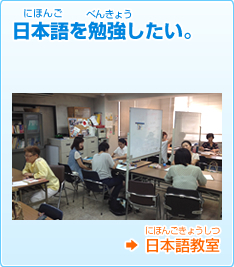 Volunteer groups offer Japanese classes at the meeting room in the office of Suginami Association for Cultural Exchange. 10 min. walk from Asagaya Sta. 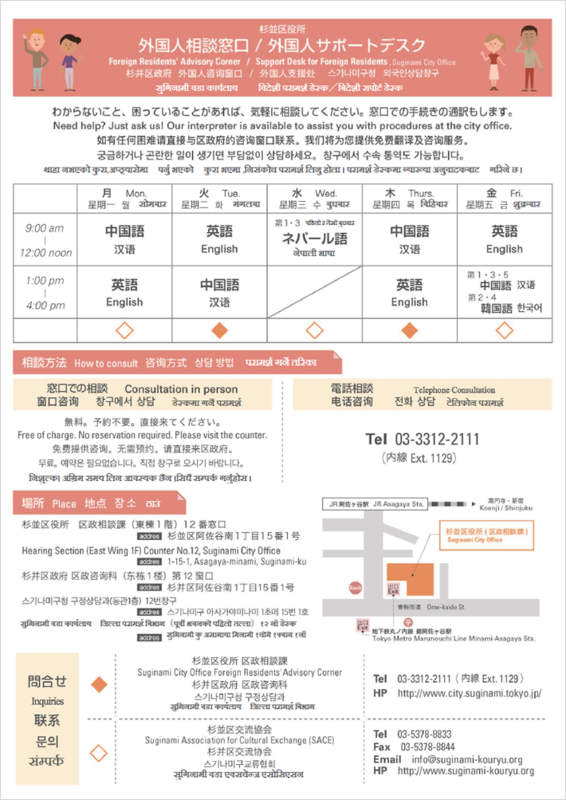 Suginami Association for Cultural Exchange (SACE) offers Support Desk for Foreign Residents starting from April 2012 at Public Hearing Section, Suginami City Office. 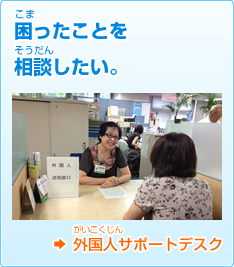 Our volunteers will assist you wherever you need to go within the City Office. 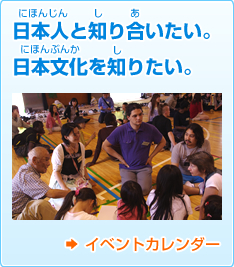 You can ask for assistance in English, Chinese, Korean and Nepali. 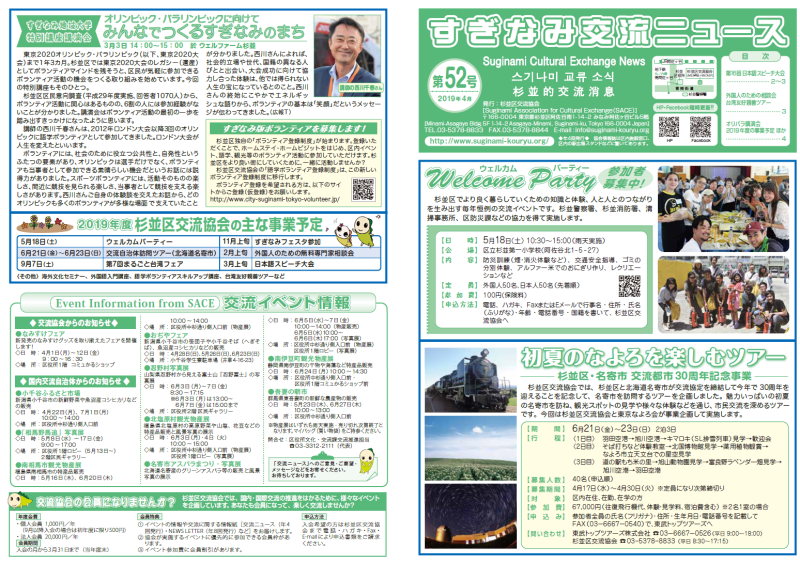 Please feel free to talk to our friendly and resourceful volunteers. 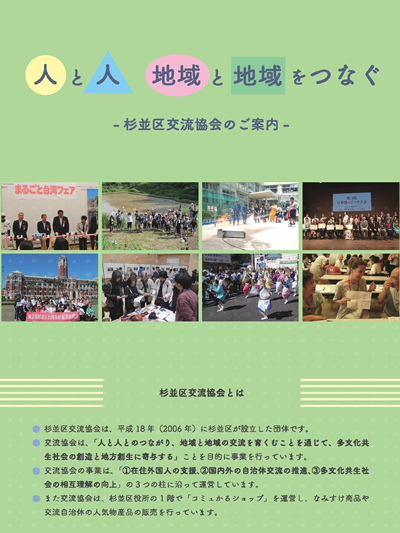 Every Monday 9:00a.m.-12:00noon & 1st・3rd・5th Fridays 1:00p.m.-4:00p.m.